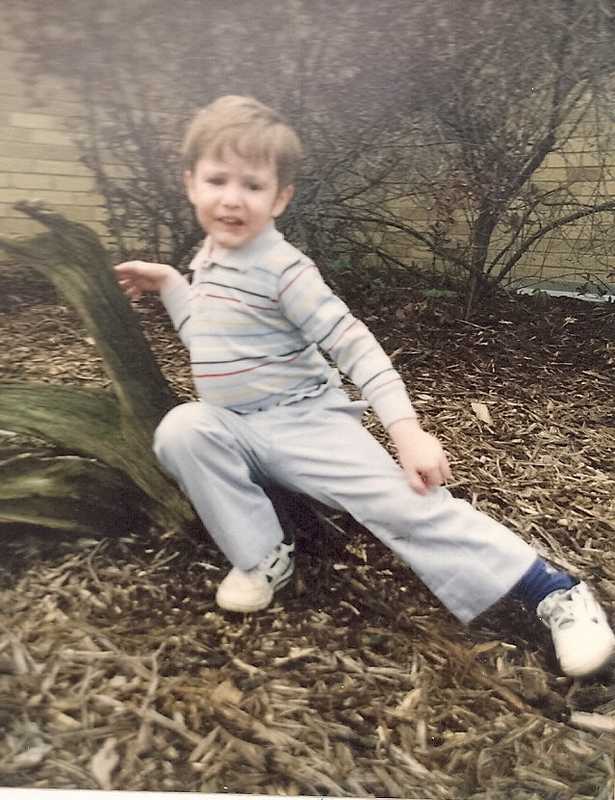 Going through my journals, I found this picture of Will when he was four years old. His sensory disorder is evident. This picture didn’t go in my regular photo albums because it was attached to a hand print. It was tucked away in the journals. I am amazed that his teachers managed to get him to sit on this piece of wood. It looks like early spring, so I wonder if this was a mother’s day present. I wonder what other treasures I’ll find. What a cutie pie! I imagine them standing very near him in that photo with whatever reward they had promised! haha. It had to be quick, too – I imagine. Only one shot was possible. It’s funny when you look at pictures like that, unless you are aware of the child’s difficulties it is sometimes hard to understand the amount of effort it takes to get a photo such as that. I’ve just had to get a Passport photo for my son and we used a regular booth but because they are now digital and due to the time delay the three shots we got either had a hand in front of the lens or he was falling off the stool. In the end I had to pay twice as much money to a dedicated photographer and then prance around like a loony to try to keep his attention for the second it needed to snap the shot! We’ve not had the Passport back yet so just hoping they don’t reject the photo!! For years, any picture that had the whiff of “portrait” was similar to the picture above. Hair poking up, one shirt collar off, not ever looking at the camera, and sort of a smile, maybe. Mostly a grimace, because if you were asking him to smile, I don’t know if he understood what was being asked of him. Our best pictures of him at that age and well into middle school are those shot without his awareness of it. Oh my, yes…the dreaded passport photos. Been there done that. I love this. The picture says so much but it’s awesome! I’m glad you found it and shared it.